In a decision filed on February 5, 2019, the Texas Court of Appeals for the 14th Judicial District held that the time payment fee allocated to the general revenue fund (90% of the $25 collected) is facially unconstitutional. The court held that the portion of the fee that goes to the county (10% of the $25 collected) is valid. Since this case was transferred from the 3rd Court of Appeals to the 14th Court of Appeals, all counties in the 3rd and 14th Judicial Districts would fall under the authority of this opinion. 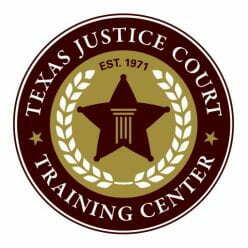 We recommend that judges in those counties immediately meet with county officials, including your county attorney and county auditor, to discuss this opinion before assessing or collecting the full time payment fee in any case. Those counties are: Harris, Bastrop, Bell, Blanco, Burnet, Caldwell, Coke, Comal, Concho, Fayette, Hays, Irion, Lampasas, Lee, Llano, McCulloch, Milam, Mills, Runnels, San Saba, Schleicher, Sterling, Tom Green, Travis, and Williamson. A motion for rehearing has been filed, and the state could appeal the decision to the Court of Criminal Appeals and, if so, any CCA ruling would be binding statewide. Additionally, the Legislature may decide to address the time payment fee this session. Stay tuned to the situation, and be sure to attend a TJCTC Legislative Update seminar for the latest information.